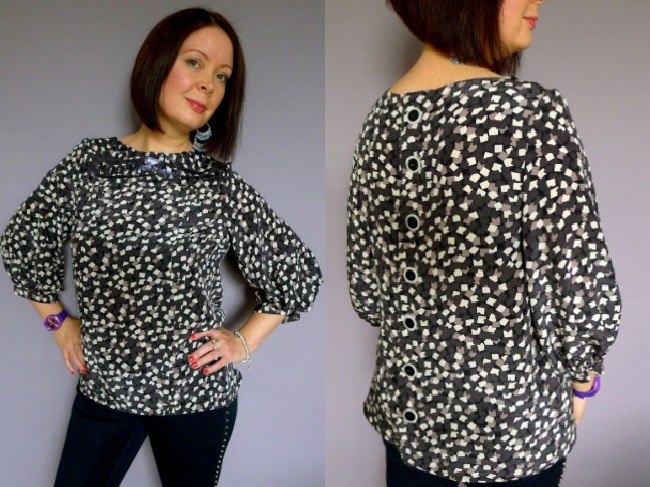 "I bought the Mathilde Blouse the moment I saw the pattern. It is such a cute and stylish blouse with gorgeous detailing. I knew it had to be part of my wardrobe. 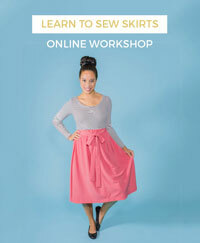 I was a little intimidated by the 7 buttons and the tucks at first, but Tilly’s online tutorials were so comprehensive, that it made sewing it an enjoyable experience. The fact that each of the steps is separate helps break up the sewing into manageable pieces, for those like me who need to spread the sewing out over a period of time. Oh and I loved being able to tick off the steps on the checklist! My Mathilde is a real 'romantic stroll in the garden' blouse." "Mathilde is so dreamy - with irresistible details like back buttons, frothy sleeves and tasty tucks. For my version I wanted to do right by the pattern by creating a chic and romantic look, so I knew immediately that it was destined to be paired with some delicate 1960s voile from my stash. And I'm delighted with the result! 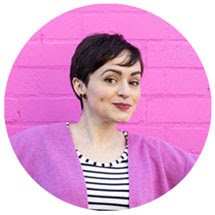 I would encourage anyone wanting to try Mathilde to go for it - Tilly's detailed instructions and complimentary blog posts expertly cater to varied abilities." "For me, the Mathilde pattern represents a perfect combination of creative freedom and technical discipline. 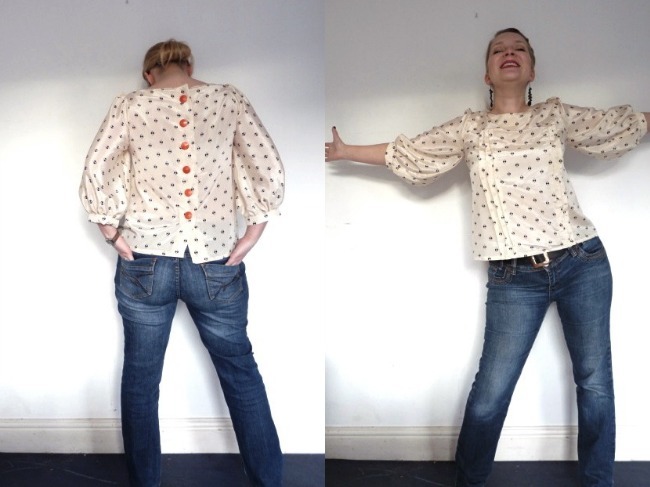 Creative freedom: customising the yoke and having fun choosing button and fabric combinations. Technical discipline: getting those tucks just right and making sure the button bands match up! Oh, and there's a tick list - instant gratification for my inner list-maker." "There are so many things that I love about this blouse. The instructions... The tick boxes are genius... As for the pattern itself - I love that it is simple enough for a beginner to put together but has those little touches, in particular the tucks and the buttons, that stop it looking like it has been made by a beginner, even if you are one. The sleeves are fabulous. Finally I love that this pattern is so versatile. It is modest enough for work, looks great with jeans and is dressy enough for evening wear depending on what fabric and embellishments are used. The buttons can blend in or be a feature, and it can be tucked in or lengthened to tunic or dress length for a totally different look. You could even leave off the sleeves for a summer top. I am just about to cut out another, and as soon as I can justify buying new fabric I'm going to make a bright pink version. And after seeing Solvi's I think I need a black one as well." 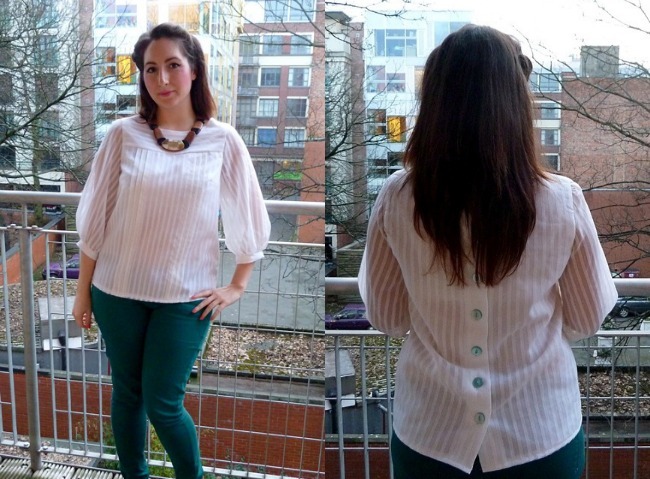 "I love the Mathilde Blouse! It's such a beautiful design and unusually versatile too: it can look casual, cute, romantic or super dramatic, depending on what fabric, colour and pattern choices you make. The instructions are really clear and engagingly chatty, and the construction is simple, but it encouraged me to strive for something like perfection (those tucks!). I chose quite a flamboyant iteration for my first version, with a big bold graphic print and contrast buttons. I'm planning a red wool pencil skirt to show it to its best advantage. 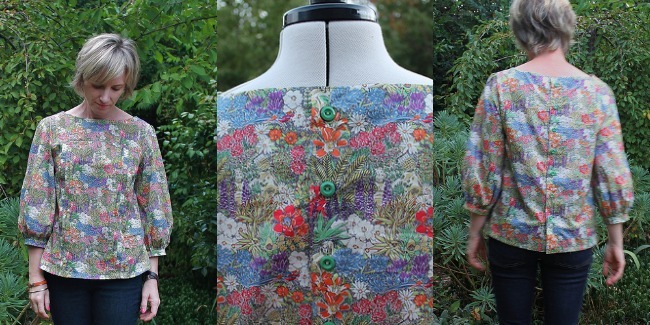 Note that I refer to it as my first version; there will be more..."
Check out more gorgeous blouses in the Maker Gallery. If you're feeling inspired to make your own, you can buy the pattern for just £7. Use the insanely detailed step-by-step photo instructions to guide you through every stage, or take a workshop with me at Ray Stitch sewing school. 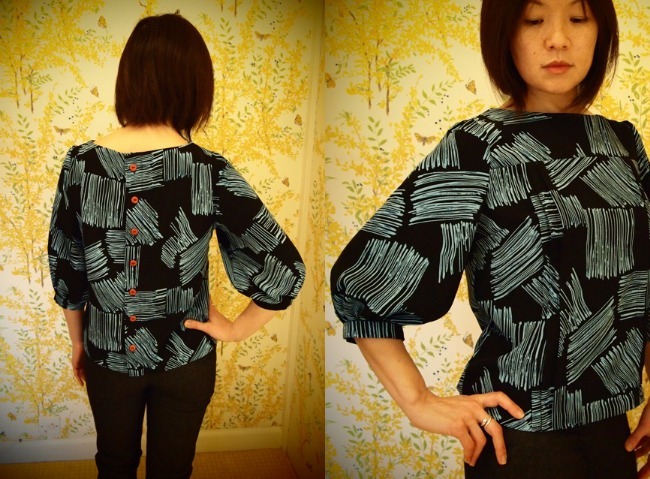 Have you made a Mathilde Blouse? I'd LOVE to see! Submit your bestest photos to the Maker Gallery by leaving a link to your blog / Pinterest / Twitter / Facebook, or send me an email.